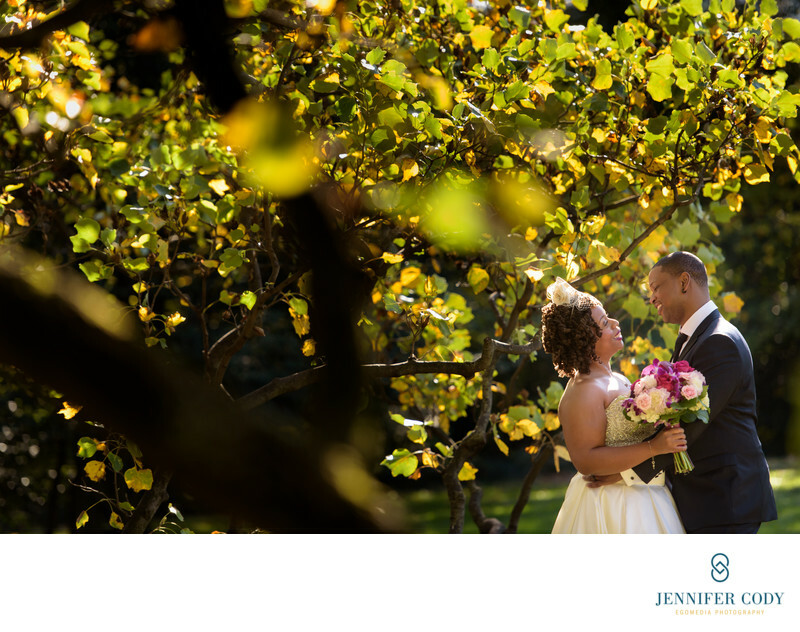 Our nation’s capital is an extraordinarily popular elopement destination for engaged couples from all over the United States. Not only is Washington, D.C. rich with history, monuments and landmarks, it’s also a prime location for arts and culture, food, wine, and shopping. There’s no shortage of adventures to be had in the District, not the least of which is marriage! What’s more, Washington, D.C. is a city that’s extremely hospitable to couples wishing to elope. The Marriage Bureau in D.C. only requires one party to apply in person for the marriage license, and even allows license applications by proxy if neither party can make it to the courthouse. As for the wedding ceremony itself, while the Marriage Bureau does offer civil marriages in the courthouse, there is a waiting period of at least ten days (and often, several weeks). Fortunately, there is a wealth of beautiful, intimate locations in Washington, D.C. that provide a far more memorable backdrop for exchanging your vows. To make your elopement even more special, many, if not most, wedding professionals - including ceremony officiants, photographers, and florists - eagerly and happily provide their services for elopement ceremonies. You can find these D.C. wedding vendors by searching for elopement services in Washington, D.C. or simply asking around. You’ll likely be pleasantly surprised at how accommodating these wedding pros can be with their schedule (especially if you choose a weekday and/or a date in the off-season) and rates for a short-but-sweet elopement. After you’ve traded your “I do’s,” there are plenty of ways to celebrate! Consider toasting to your new life together in one of the District’s many craft cocktail bars, enjoy a dinner to remember in a world-renowned restaurant, picnic on the National Mall, or just stroll the city’s museums and parks as newlyweds. However quickly and uniquely you wish to wed, and however you desire to commemorate your elopement wedding, Washington, D.C. couldn’t be a more perfect spot.